Open Gardens Day at the Studio will be on the 10-11th of May this year from 10am-4:30pm. Entry for the Open Garden is $7 for adults and children under 18 years are free. All funds will support the Open Gardens annual event. 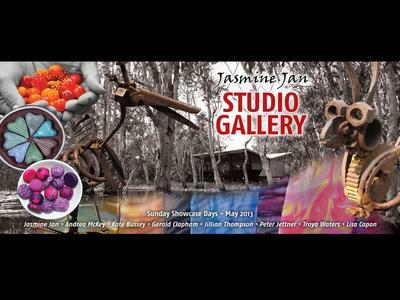 Then every Sunday during the rest of May Jasmine Jan will be opening her studio/gallery from 10am – 4pm to the general public. 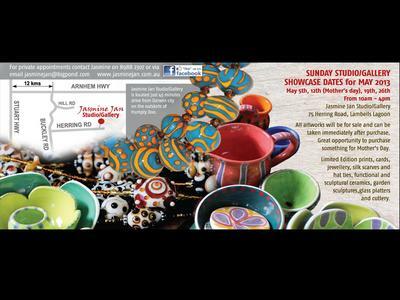 Jasmine has invited Territory Artists - Andrea McKey, Kate Bussey, Gerald Clapham, Jillian Thompson, Peter Jettner, Troya Waters and Sandy Baldwin to showcase their artworks at her studio/gallery during this series of Open studio days in May. The studio will have on display and available for sale a collection of limited edition prints, cards, books, mixed media works, glassworks, jewellery, garden sculptures, ceramics and silk textiles. 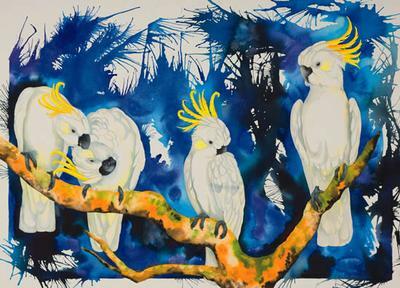 This is a rare opportunity to visit the studio/gallery of a well-known Territory artist and experience the environment where she works on her watercolour paintings, mixed media works and glass. The studio/gallery is generally only opened to the public on special occasions such as exhibitions and open days or by private appointment. 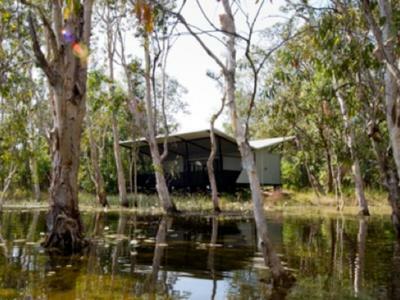 The studio sits on the edge of a paperbark billabong on a 105 acre property on the outskirts of Humpty Doo. The deck of the studio boasts amazing views of a natural wetland. Natural light fills the studio through the large skylight windows making it the perfect space to create and exhibit artworks.